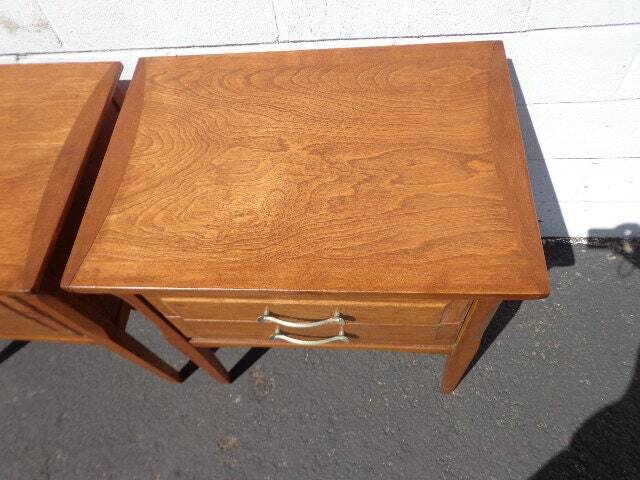 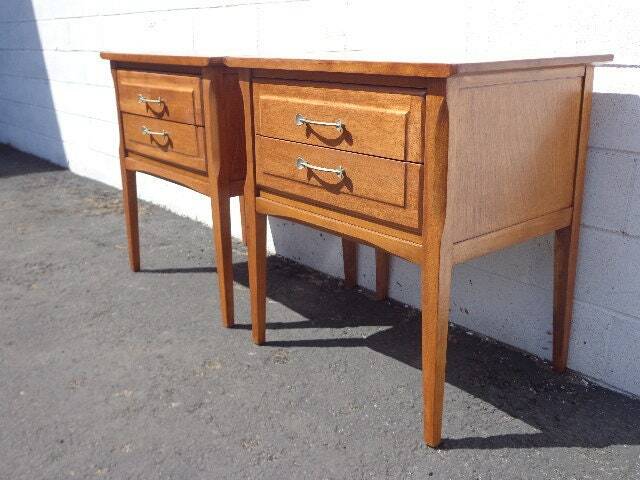 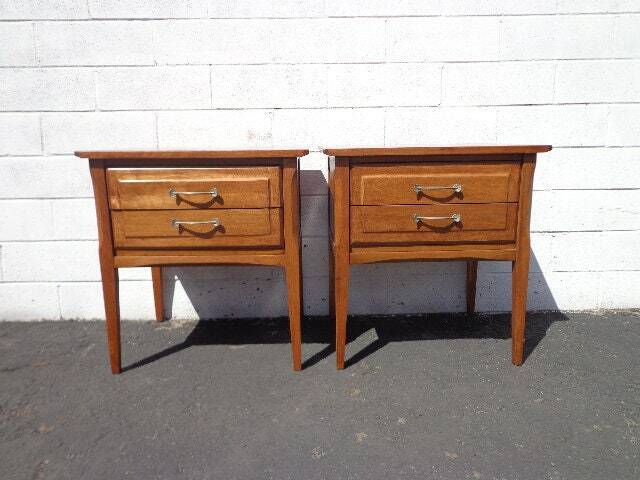 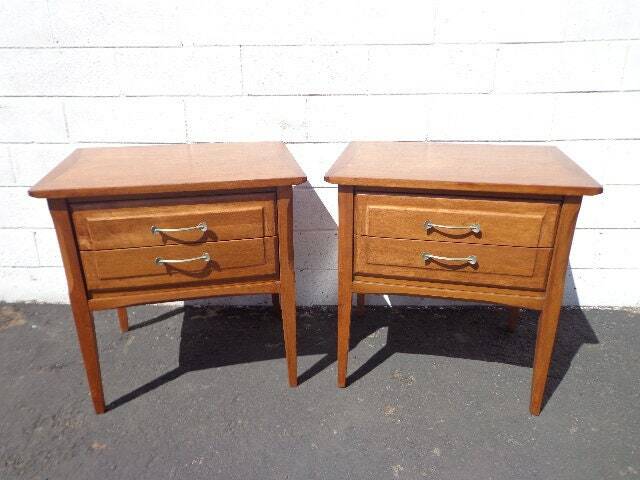 Rare and unique set mid century modern nightstands / bedside tables / cabinets. 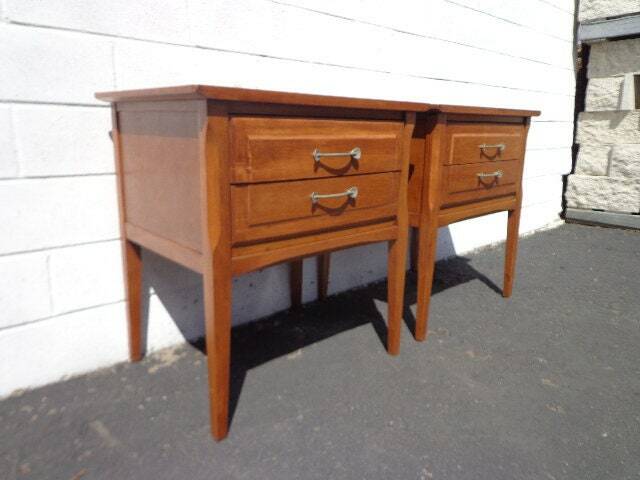 Features a classic Mid Century look and super unique design. 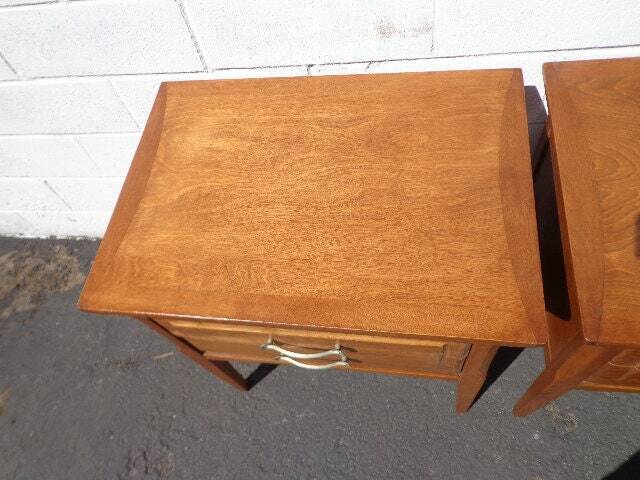 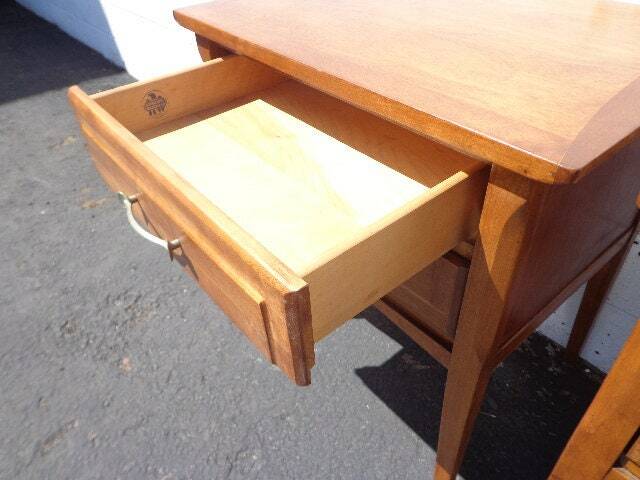 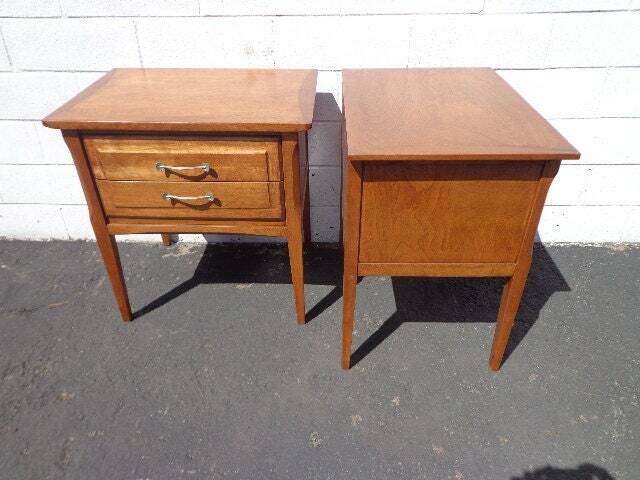 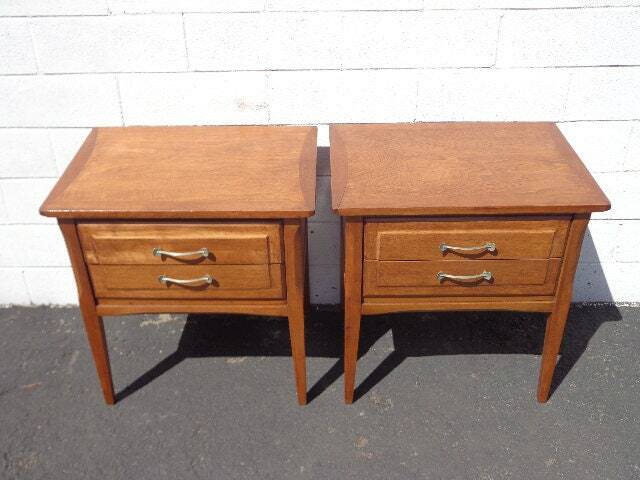 Both offer ample storage with 2 drawers and will look great in any space. 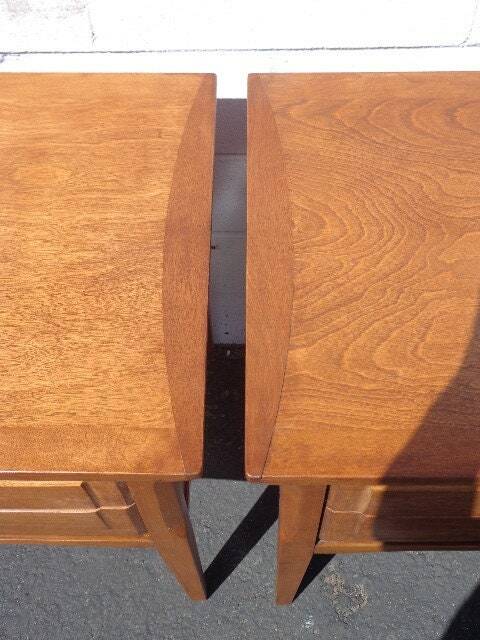 Dimensions: 24" x 17" x 25"